Inhabit the Grecian goddess of love and beauty in the Natori™ Aphrodite Robe. Smooth and slinky poly knit fabric slides over the body in fine form. Long sleeve wrap robe falls to the ankle. Banded collar and front edge. 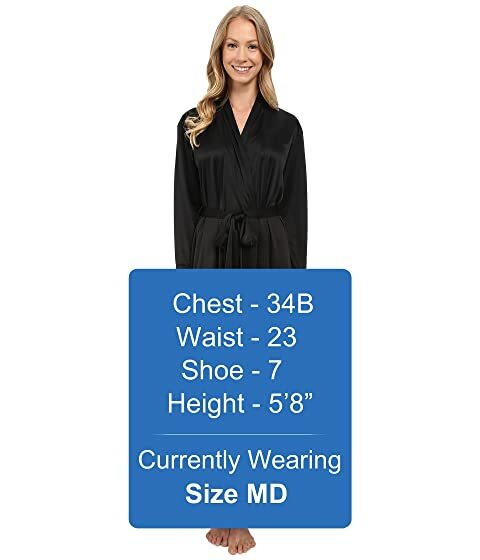 Product measurements were taken using size M (Women's 10-12). Please note that measurements may vary by size.